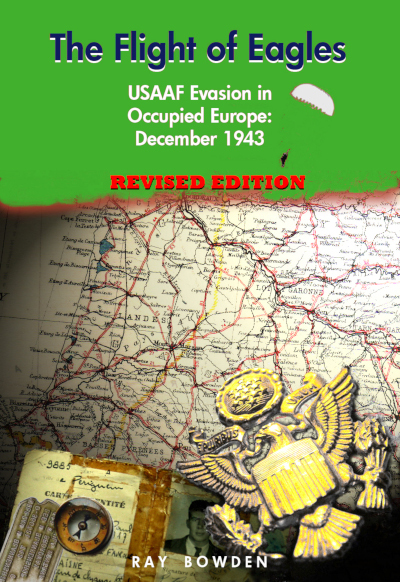 One of the 91BG's original complement, assigned with just 69 hours logged, it had been ear-marked for the RAF and carried the early British camouflage scheme of dark green patches over olive drab. It flew un-named until returning from Lorient on 30th December 1942 with serious battle damage. 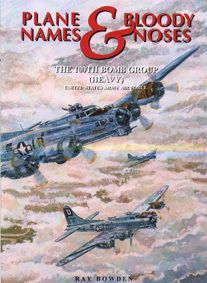 Jack Gaffney painted the Donald Duck nose art on the port side at the request of crew chief M/Sgt Pierce. 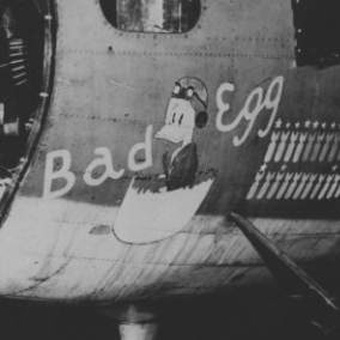 "Bad Egg" flew as lead ship on numerous occasions and its mission tally was embellished with a series of red and blue stars to denote this role. 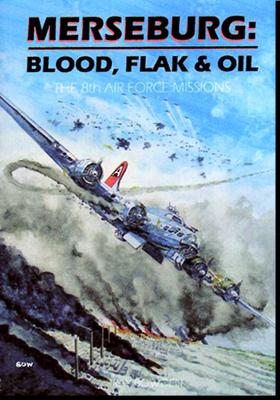 During its year of combat, the plane completed 43 missions, had 15 engine changes and had suffered hits in all main fuel tanks as well as having had its back almost broken on one occasion by 20mm cannon shells. On 31st December 1943, returning from a mission to Cognac airfield, the plane was diverted to Andrew's Field where, on touching down in poor weather, it ploughed into a jeep and killed its driver. 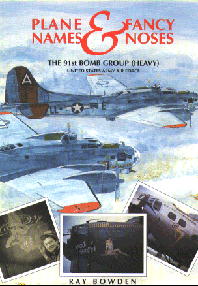 Although declared Category E and salvaged, the rear section of the plane was used later to repair another damaged Fort from 3rd Bomb Division's 390th Bomb Group.